← You can check that off the list! This edition of Montag, er, Monday Suds takes us a little north to Loveland, CO. In Loveland, there isn’t too much to see but there is a great place to stop. 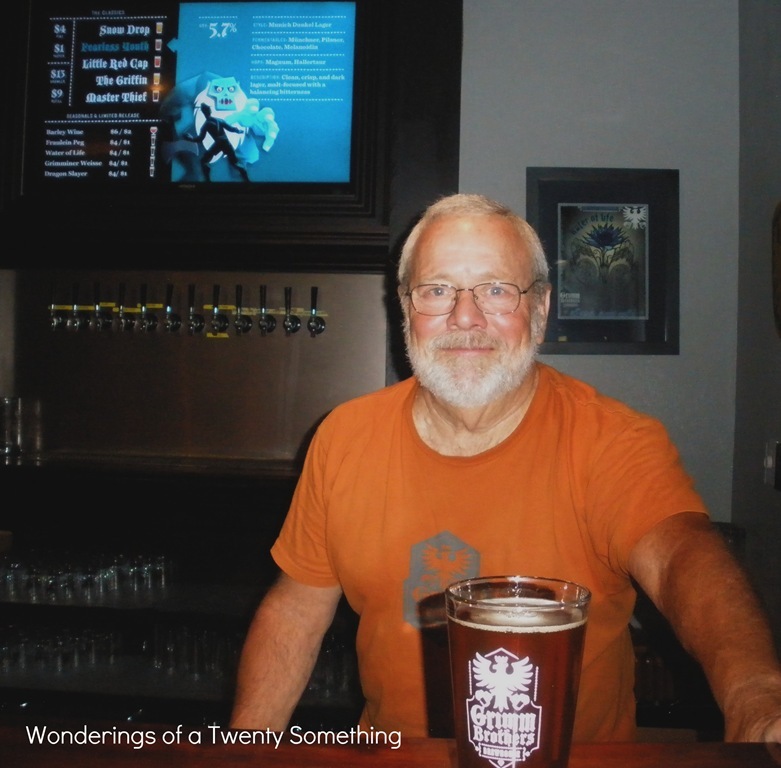 Grimm Brothers brewing has been open long enough (2 years) to get a full house on a Saturday night and they had a great group of people behind the bar! When we walked in we were greeted by Paul and a list of palate pleasers. This is their Full Beer List. As you can see from the list, Grimm Brothers has an affinity for traditional German Style Beers. Check out their website to see the cool artwork for the beer. It’s all based on, you guessed it, Grimm fairy tales. There is no fooling around here (for the most part) and plenty of tasty traditional beer. If you are looking for something classic, look no further. For this trip I enjoyed a lot of the seasonals. including this not so sour beer called Grimminer Weisse. I was wary at first but it was definitely refreshing! Just what I needed. We were lucky enough to try a beer that is going to be out this week. It isn’t available for full pints yet but Paul was happy enough to share a taste with us. The beer is called Grandfather Grimm and it is a full bodied stout. After several smells and sips, we settled on chocolate covered espresso beans. I could have had several pints of that with a good baked good and I would have been set for the night. We will definitely be back to have that again. 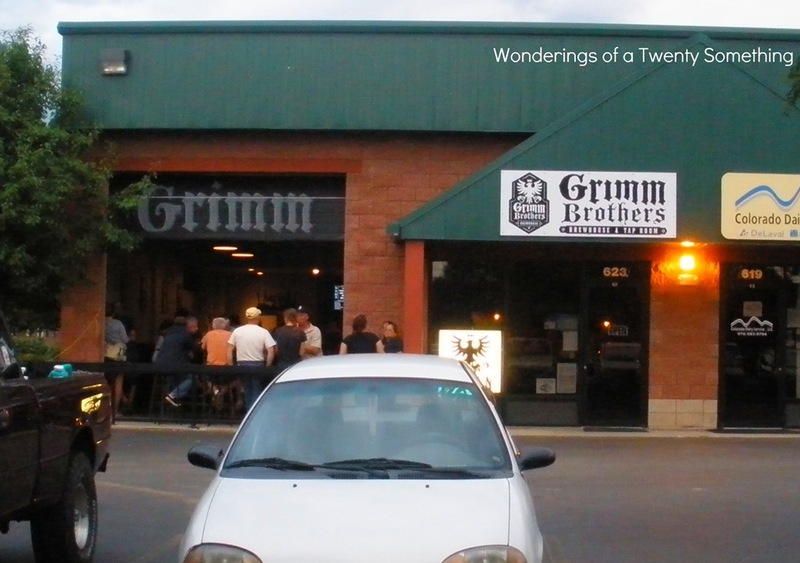 We had a blast at Grimm Brothers and can definitely tell that there is a passion for beer there. We have definitely added this beer to our list of favorites and we will definitely be back many times! Thanks for the great beer info, Paul! (That’s him up there!). I’m Wondering: What’s your favorite German beer? Favorite german beer? All of them. Just kidding. But seriously. Gimme all the beers. There are so many great ones. Grimm also allows blending from the tap so there are even more tasty creations!